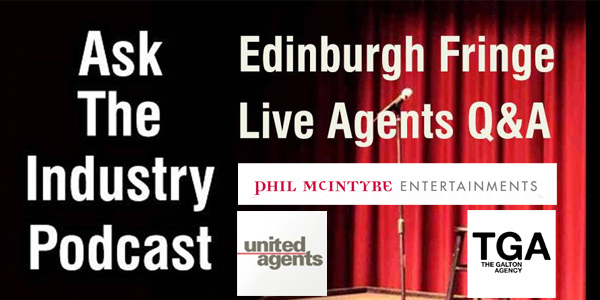 Chris Lander (@christophlander) is an agent at Phil Mcintyre Entertainment. He deals with the new and up-and-coming talent including Nish Kumar, Masud Milas, David Trent and more. Katya Balfour-Lynn (@katyabalfourlyn) is a live booking agent for United Agents. She deals with her clients live dates and live calendars. Andy Townsend (@andytownsend8) is a comedy agent at the Galton Agency. By their own admission a small agency that deals with big names and focuses on work they’re proud of. What do / don’t you do? When do you think a comedian needs an agent? How much do quotas impact your choice of signing?